The term gamification is a relatively recent addition to the scholarly vernacular. In fact, the first documented use of the term doesn’t appear until 2008 (Detering, Dixon, Khaled, & Nacke, 2011). While there have been a number of definitions put forward, most publications agree on a general definition being the use of game elements and design in a non-game setting (Seaborn & Fels, 2015). The broad use of games among members of the millennial generation creates an opportunity for increasing student engagement and motivation in traditionally non-game environments, such as a business school. Given this, educators are increasingly using gamification techniques to increase student engagement (Seaborn & Fels, 2015). These include the use of advanced business simulations. Gamification applied to these kinds of simulations can increase engagement, motivation, targeted learning outcomes, critical thinking skills and cognitive reasoning. Research indicates that the use of these game elements can result in an increase in engagement and motivation (Thom, Millen, & DiMicco, 2012). Other implementations of gamification, such as business simulations, appear to have longer lasting positive effects on not only participation but more so on desired learning outcomes, especially within an educational setting. The above is a picture of MikesBikes Introduction interface. The above is a picture of Music2Go’s class specific leaderboard (note we also have a Hall of Fame tracking the performance of teams throughout the world). 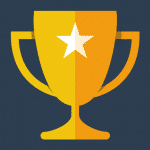 Smartsims Business Simulations are strong believers in rewarding excellence. 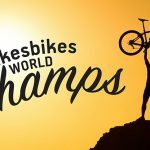 Every year the Smartsims team holds the MikesBikes World Championships to find the ‘best of the best’ and award the winning team. Further, the students who achieve top of their class or enter into the Hall of Fame are given notoriety within our website through an article/interview as well as the Worldwide Leaderboard. MikesBikes encourage interaction with other plays both directly and indirectly. 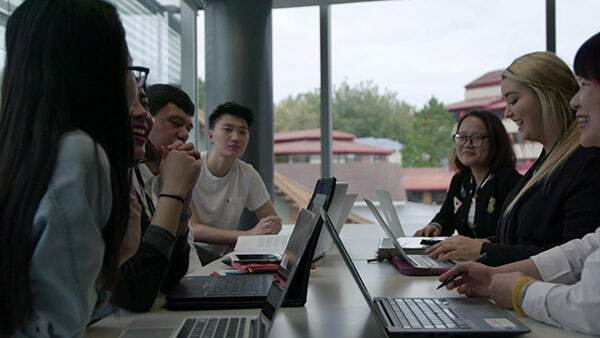 Often students can form the ‘management team’ of their firm where they interact directly with each other to enter the important decisions of their team. Students will also be competing directly against other teams within their course to achieve the highest Shareholder Value (one of the main KPIs within MikesBikes). 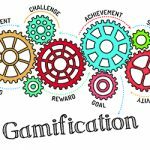 Gamification can be viewed as an instrument within the toolbox of experiential learning, and as such, can be used to enhance desired learning outcomes. These desired learning outcomes include the development of critical thinking skills, increased motivation, and greater cognitive ability (Lovelace, Eggers, & Dyck, 2016). Rousseau (2012) describes the critical thinking process as “involving questioning assumptions, evaluating evidence, and testing the logic of ideas, proposals and courses of actions” (p. 13). An advanced business simulation such as MikesBikes includes rounds of play in which assumptions are drawn, and data is analyzed before decisions are made. The start of each new round gives the student an opportunity to reflect on the outcomes of previous decisions, and use that knowledge to reanalyze data and make new inferences. Ultimately, through the use of simulation students must go through the various stages of critical thinking. Furthermore, they simulate problems that build over time and become more involved as the simulation advances. This increases student knowledge and cognitive reasoning (Collins & Halverson as cited in D.J., Beedle, & Rouse, 2014). Gamification is a relatively new and continually evolving application and can range in impact. Educational business simulations, such as MikesBikes, can use a variety of gamification techniques to enhance the learning experience, as well as increasing student engagement and motivation. This is particularly important in the modern educational environment and the challenges of engaging the millennial generation. However, the most attractive outcome in the combination of gamification and simulation is the development of critical thinking skills and cognitive reasoning, both of which are very difficult to achieve in a typical learning environment. Cadotte, E. (2016). Creating Value in Marketing and Business Simulations: An Author’s Viewpoint. Journal of Marketing Education , 38 (2), 119-129. Cheong, C., Filippou, J., & Cheon, F. (2014). Towards the Gamification of Learning: Investigating Student Perceptions of Game Elements. Journal of Information Systems Education , 25 (3), 223 – 244. D.J., F., Beedle, J., & Rouse, S. (2014). Gamification: A Study of Business Teacher Educators’ Knowledge of, Attitudes Towards and Experiences with the Gamification of Activities in the Classroom. The Journal of Research in Business Education , 56.1, 1-16. Detering, S., Dixon, D., Khaled, R., & Nacke, L. (2011). From Game Design Elements to Gamefulness: Defining “Gamification”. Proceedings of the 15th international academic MindTrek conference: Envisioning future media environments (pp. 9-15). Tampere: ACM. Lawley, E. (2012, July – August). Games as an Alternative Lens for Design. Interactions , 18 – 19. Lovelace, K., Eggers, F., & Dyck, L. (2016). I Do and I Understand: Assessing the Utility of Web-Based Management Simulations to Develop Critical Thinking Skills. Academy of Management Learning and Education , 15 (1), 100-121. Paharia, R. (2012, July – August). Gamification Means Amplifying Intrinsic Value. Interactions , 17. Rousseau, D. (2012). Envisioning Evidence-Based Management. Oxford Handbook of Evidence Based Management , 3-24. Seaborn, K., & Fels, D. (2015). Gamification in Theory and Action: A Survey. International Journal of Human-Computer Studies , 14-31. Thom, J., Millen, D., & DiMicco, J. (2012). 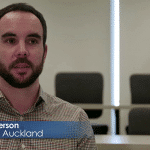 Removing Gamification from an Enterprise SNS. Proceedings of the acm 2012 conference on computer supported cooperative work. , 1067-1070.